Craven County 4-H is an Investment in your Youth! 4-H is a Youth Development Program that focuses on a wide variety of opportunities to grow. 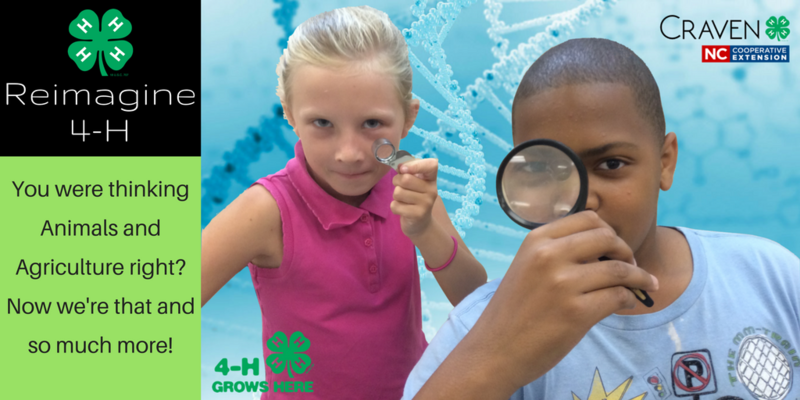 Want to learn more about how to get connected to Craven County’s 4-H Program? Check out our Ways to Connect page to see what we have to offer locally!